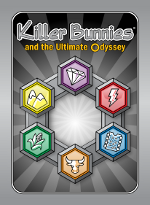 Disclaimer: These objects are intended to allow fans to create non-commercial Fan Art Cards to supplement their Killer Bunnies® decks using Bunny Blanks or similar. They are intended to be used for “Fair Use” purposes within the context of United States copyright law. 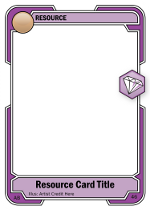 Each group of elements placed on separate image layers. Six colors are available merely by making them visible. Major resource types available by making them visible. 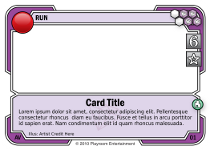 Major card types (Run, Special, and Very Special). 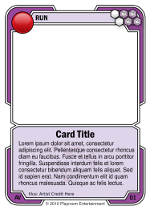 300 DPI for high-quality Fan Art cards. No bleed with this version (sorry; perhaps next version if there is interest). Because of the use of the new grouped layers feature, the XCF and XCF.gz templates require GIMP 2.8 or higher. Up to 12 resources (of any type) can be created by making them visible.